You'll be £25.00 closer to your next £10.00 credit when you purchase Operation Sealion. What's this? During the Summer of 1940, Hitler’s Germany appeared unstoppable. The Nazis were masters of mainland Europe, in alliance with Stalin’s Russia and only the English Channel prevented an immediate invasion. Britain stood alone. The BEF had been routed but, due to the ‘Dunkirk miracle’, most of her manpower had returned albeit without their transport and heavy equipment and guns. There was no doubt that the Nazis planned to invade – all intelligence pointed that way. In the event it never materialised, thanks to the outcome of the Battle of Britain and Hitler’s decision to invade Russia. Operation SEALION examines just how realistic the German threat of invasion was. The author studies the plans, the available capability and resources, the Germans’ record in Norway and later Crete. The author weighs these against the state of Britain’s defences and the relative strengths of the land, air and particularly naval forces. The result is a fascinating study of what might or might not have been. 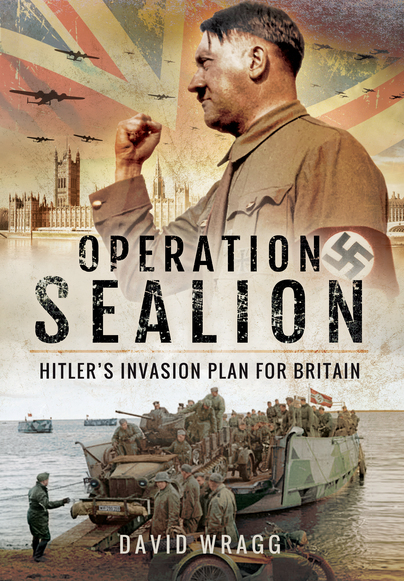 The author has carefully researched and reviews the planned Operation Sealion, considering how realistic the plans were. The text reads smoothly and there are interesting images in the plate section. What provides a good sanity check is comparison against the Allied invasion at Normandy and the lessons taken on board before that event.